PROVEN. OVER A DECADE OF TESTING AND THE DATA TO SUPPORT IT. 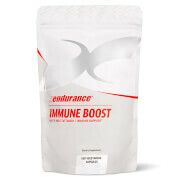 REDUCE SORENESS, IMPROVE STAMINA, AND ACCELERATE RECOVERY. GAIN THE SAME ADVANTAGES USED BY OLYMPIC, PROFESSIONAL, AND ELITE ATHLETES. Every single batch of Xendurance is tested for banned substances by the world class sports doping control laboratory, HFL Sport Science. In order to provide re-assurance that the product is suitable for use by elite athletes, the product is approved under the Informed-Sport and Informed-Choice programs. 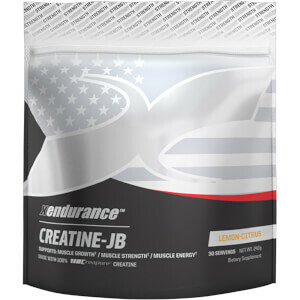 Xendurance is a revolutionary athletic performance formula created by athletes for athletes. This formula has a Published, Gold-Standard, third party, double-blind, placebo-controlled, crossover study backing up claims of 15% reduction in lactic acid and a double digit increase in aerobic threshold. Many companies make claims on individual ingredients but Xendurance has a published study on the formula itself. Each batch of Xendurance is tested to ensure that it is not contaminated with banned substances to provide additional reassurance for elite athletes. As an athlete you already know the harder you exercise and compete, the more acid builds up in your muscles. Both your blood and muscle pH goes down into the dreaded acid zone. The increased use of muscle glycogen for energy produces lactic and pyruvic acid. Acidity reduces muscle power and reduces physical and mental endurance. You, your trainers and your coaches refer to this as lactic acid buildup or lactic acid fatigue. On the practice and playing field, it is also called "hitting the wall" or having the "bear jump on your back". It's simple. The harder you compete, the quicker you Go Acid! The Athlete who "Goes Acid" last, wins the competition. Intramuscular acidosis, is when your muscles have too much excess acid. This condition is caused by the production of H+ (Hydrogen ions) which is part of the energy released from the breakdown of glucose. As your muscles "go acid", this creates fatigue and muscle burn, which you feel during intense exercise. The Xendurance formula and physical chemistry of its 9 ingredients not only assures you that it will buffer production of H+ (Hydrogen ions) and help prevent the acid buildup in your muscles, but it has also been clinically proven to increase aerobic threshold so you can work harder for a longer period of time. Every athlete should know about proper pH balance. PH balance is critical to top athletic performance. PH is measured on a 14 point scale. The lower pH value range, such as stomach acid could average between 1.0 to 3.0. A pH value of 7 is neutral. The arterial blood pH value of a healthy human ranges around 7.35 to 7.45, which is slightly alkaline. As our body uses fuel and metabolizes food, we produce acid waste which is part of the process of energy release from the breakdown of glucose. The body has numerous ways to remove this acid waste or try to neutralise this acid buildup. Our kidneys filter blood and excrete acids through urine. Our lungs release carbon dioxide and we sweat acids out of our skin. We also have built in acid buffers to help neutralize pH imbalances like calcium, hemoglobin and phosphorous to name a few. Your body's acid concentration increases as you produce lactic acid. Lactic acid is split into Lactate (Lactate ions) and Hydrogen ions. H+ (Hydrogen ions) is the acid in Lactic acid. Lactate is good and is an extremely fast fuel that is preferred by the heart and muscles during exercise. Lactate is vital for ensuring that your body gets a steady supply of carbohydrates. H+ (Hydrogen ions), the other half of Lactic Acid is not good, especially when the acid concentration exceeds the body's ability to no longer neutralise or flush the waste from your body. Xendurance is tested by the largest sports lab in the world. HFL is located in the UK and its testing of Xendurance is done using gaschromatography with mass spectrometric detection (GCMS) and liquid chromatography with mass spectrometric detection (LCMS). In layman's terms, - if you put one drop of a banned substance in an olympic size swimming pool, this testing would find it. It is costly, but we have many pros who can not afford to have their tests come up positive. HFL's newest testing programs for athletes are called Informed Choice (US) and Informed Sports (EU). To summarise, there is not another product in the world that has a Gold-Standard, third party, clinical study, that has been published, and has been tested drug-free. XENDURANCE IS DESIGNED TO BE USED EVERYDAY, ALL YEAR LONG. Like a multi-vitamin, you take Xendurance every day, if you train 5 to 6 times per week, take 6 tablets daily; 3 in the morning and 3 in the evening, with or without food, do not chew them as they are digested through the lower intestines. Xendurance is designed to be used everyday, all year long. FIVE TO SEVEN DAYS BEFORE A RACE OR COMPETITION increase your dosage to 8 tablets a day; 4 in the morning and 4 in the evening and continue this 8 tablets for one day after the race and then drop back down to 6 tablets per day. We suggest this as it helps immensely with recovery. IF YOU TRAIN 3 TO 4 DAYS PER WEEK, take a total of 4 tablets daily, with or without food. 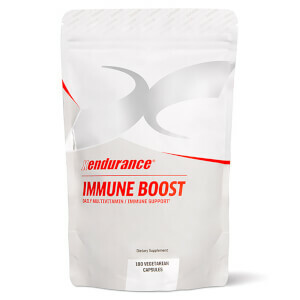 RESULTS FROM OUR ELITE ATHLETES SHOW THE LONGER YOU TAKE XENDURANCE, THE GREATER THE BENEFITS. WHY YOU SHOULD TAKE XENDURANCE EVERYDAY, ALL YEAR LONG? If you are a pro, amateur or weekend warrior who makes training a part of your health regimen, Xendurance will keep your acid low and your pH more in balance. By adding lots of fruits and vegetables to your diet you can also help lower your body's acid and maintain a more healthy pH. Papain, a protease enzyme derived from Papaya, which is a powerful anti-inflammatory that helps repair and rebuild muscle tissue and relieves muscle soreness. Catechins are added and are one of the most powerful antioxidants to help fight oxidative stress during exercise. Electrolytes complete this revolutionary formula to assist athletes with the ability to quickly recover and restore balance and maintain the competitive edge. Put yourself or one of your athletes on a stationary bike and work-out at a constant 300, 400, or 500 watt pace (the watts may vary for each athlete) - Or choose a Concept 2 Rowing Machine for a timed 2000 or 3000 meter effort. How long did the participant last? The 1st half of the Do It Yourself 10-Day Trial is complete. Record the comments about muscle pain and burn. Make notes about length of time and the athlete's discomfort and post recovery. Now put the participant on the "Peak Physical Demand" dosage of Xendurance for 10-Days. Retest the athlete using the same criteria used above. In just 10-days, you will see a dramatic improvement in the length of time on the bike or rowing machine and the participant will notice less muscle burn, less pain and quicker recovery…all naturally, safe and certified drug-free! 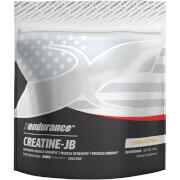 Bottom line, we have clinically proven that Xendurance will boost times and performance! Great product that really works in the final training blocks of IM training and even better during an Ironman distance event. No snake oil potion, just finish the hard workouts and get up the next day to repeat. I was initially sceptical, but needed to try something so strongly endorsed and whether it was the improved fitness or the reduced lactic build up my Ironman race went to plan and I woke up the next day feeling so good I signed up to repeat in 12months time. With hindsight, the Xendurance was a huge factor in my personal success on the day and I attribute this to helping me improve my fitness through consistent training when I would normally have felt too “tired” due to lactic build up to continue, coupled with knowing that my body responded well to the additionally training and general superior feeling leading into the event I couldn’t recommend the product enough. At the very least you should try it like I did and prove to yourself either way, hopefully its a win-win investment in your personal performance. excellent can really notice the difference with these. 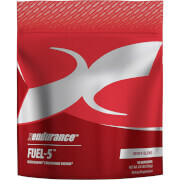 I've used Xendurance for a couple of years now on my run up to Challenge Roth Ironman and recently 2014 London Marathon. I've also done a couple of events in between without it to experiment and there is no doubt that it aids recovery and reduces stiffness in my muscles. I will not do another endurance event and its build up without it. Its a must in my training plan. I can go out and ride for 6 hours on a Saturday knowing that I'll be able to do a half marathon or longer on Sunday. Fitting training in during the week and getting up for work is always a challenge but with Xendurance I don't have the same fatigue at work so its not a bother. When I first heard of this product on the IM Talk podcast I wrote to John and Bevan and asked what were they up to. But I decided to give it a try myself and was very surprised that what in essence seemed to be the ingredients of an anti-acid tablet could make a difference. I've actually spoken to the Xendurance team in the US and put this question to them, the secret seems to be that the acid lowering ingredients pass through the stomach and into the lower intestine so the acid reducing ingredients get into the blood stream. Science aside, the stuff works and you'll soon find that you can train harder and more consistently when you eliminate the DOMS from harder sessions. I've tried all the xendurance products, this is the one I never let run out of stock! Started using Xendurance at the start of the year and noticed the difference in the first week. Did a 5k before taking them and then again the following week after starting on them. Less leg pain and less overall fatigue. I have continued now for 3 months and loving the consistency I can apply to the training as day after pain and fatigue is reduced. Can't wait for race season. Bonus that they have 10% off here.